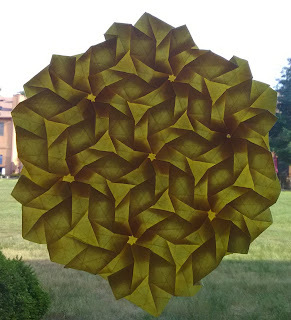 Here's a newly folded flagstone tessellation. 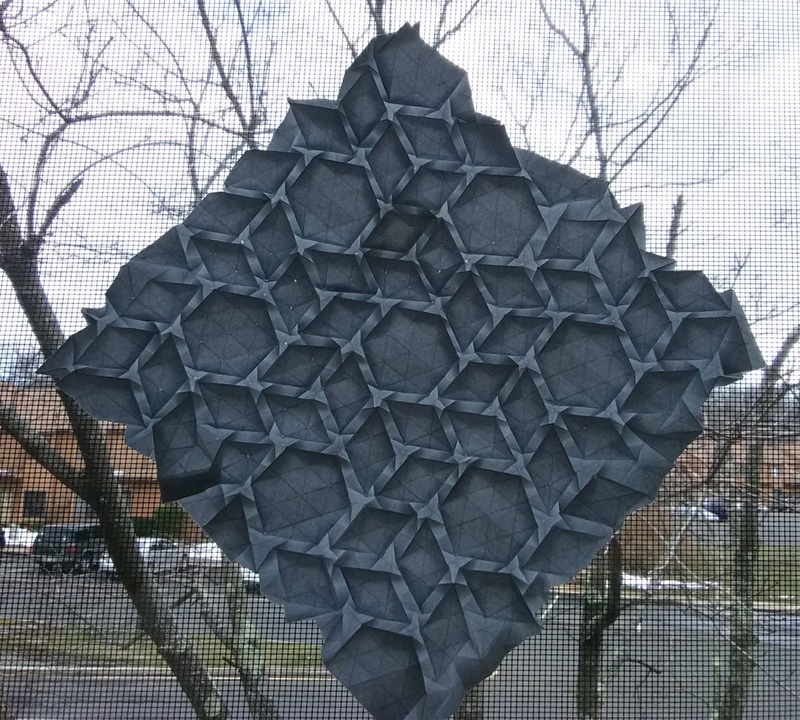 It looks three dimensional when backlit, but it's actually a flat fold. Both photos are of the same tess - front and back. Pretty neat how different they appear. It was a huge pain to fold, but in a good way. It's large hexagons surrounded by very closely packed rhombus twists. 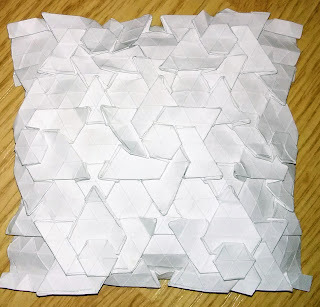 After having tried various methods for folding the complete pattern, I discovered the path of least resistance. At first I tried doing one molecule and then doing another whole molecule. That didn't work very well. 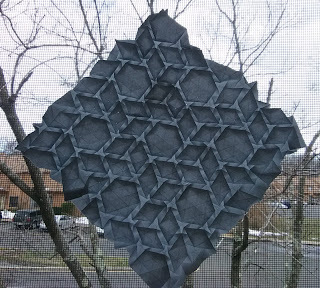 Then I tried doing all the hexagons and attempting to fill in the rhombuses. That wasn't successful either. What did work was to prefold all creases. Then prefold all twists, except the very outer edges. 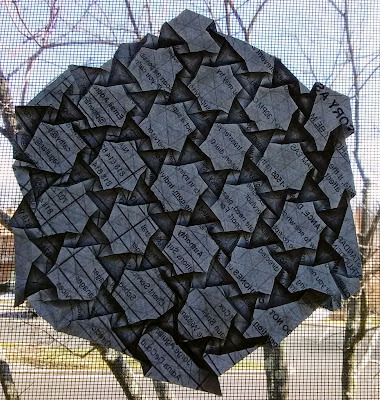 Then assemble from the center outward using the genders created in the paper by the prefolds. 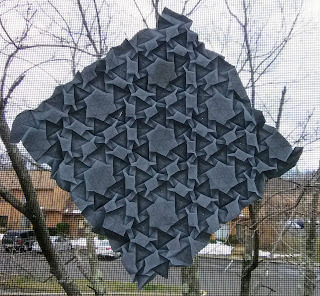 Fold the central hexagon twist and the surrounding six rhombuses. Then work outward along connecting twists in a circular fashion. I just barely figured out the right technique before the paper went completely limp. I just kinda messed with the edges until I got something kind of acceptable. I probably should've trimmed the paper as the crease pattern suggested, but it didn't seem to be a necessity. The unlit finished design is pretty mundane. But when you light it up, it's pretty spectacular.